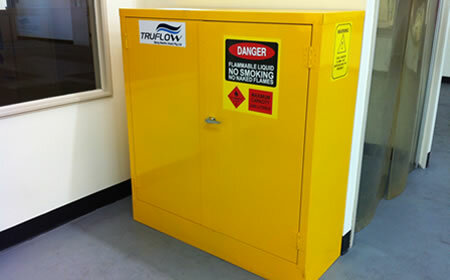 All TRUFLOW Paint Mixing Rooms are made in compliance with 4114.1:2003 Standards for storage and ventilation. 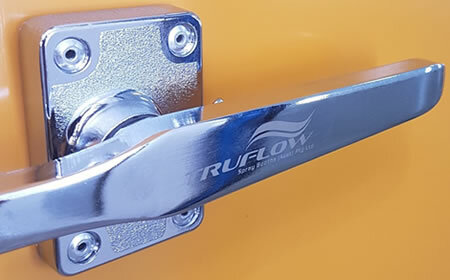 They are intended to provide a safe, clean working environment in which mixing and paint storage can occur, a TRUFLOW Mix Room ensures you meet compliance. Each Mixing Room is designed to with high levels of lighting to ensure optimal viability to assist with paint matching. 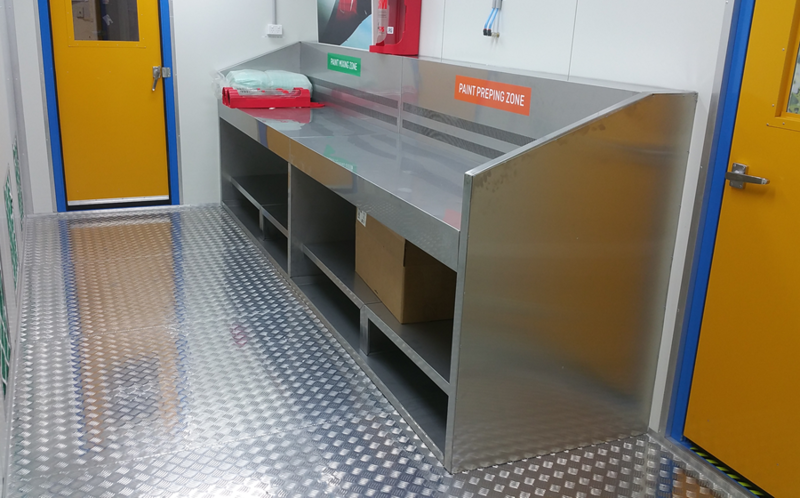 Ventilation is provided via a powerful Ex’e motor & internal ventilation ducts/ benches. A number of benching options are available from basic to fully kitted out. 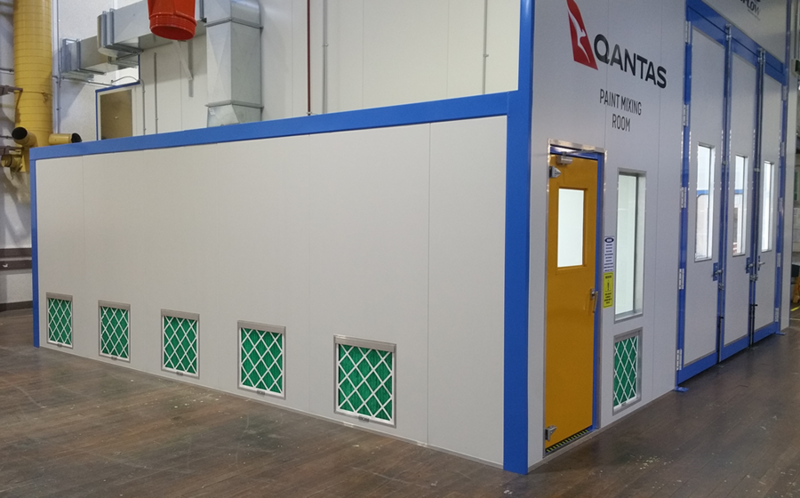 The Elite Paint Mix Room is constructed from 50mm Insulated Panel and comes with internally mounted 240V power supplies which are interlocked to ventilation. Allowing scales, mixers and tools to be operated within the mix room when airflow is purged. Give your painter a clean, well-lit and ventilated area for preparing, mixing, and perfecting the right color match. 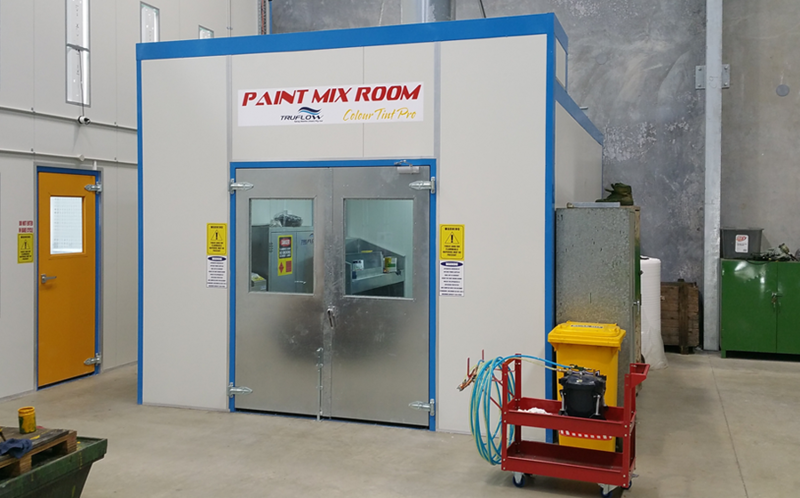 Your Paint mix room can be a stand-alone or for added operator convenience, TRUFLOW offer attached mixing rooms where direct access to the paint booth can be achieved. With four models/ sizes to choose from you have the flexibility to adapt your mix room to hold the amount of paint you need at any one time. From 60 Litre Storage through to 240 Litre Storage. No matter which option you choose, compliance & quality is standard. 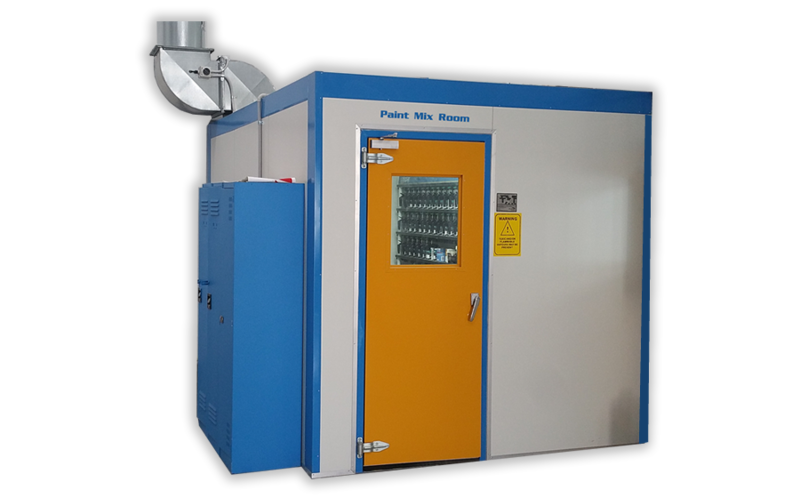 The room runs at negative pressure, the exhaust fan is approved for hazardous areas with an Ex’e rating.